As an introvert, I’ve never been one for parties, yet my passion for cosplay equals my distaste for social interaction, which presents a bit of a paradoxical situation since there’s hardly any point dressing up if there isn’t an audience. Most previous attempts were unambitious, and included ideas such as a witch and a vampire (I was in a hurry! 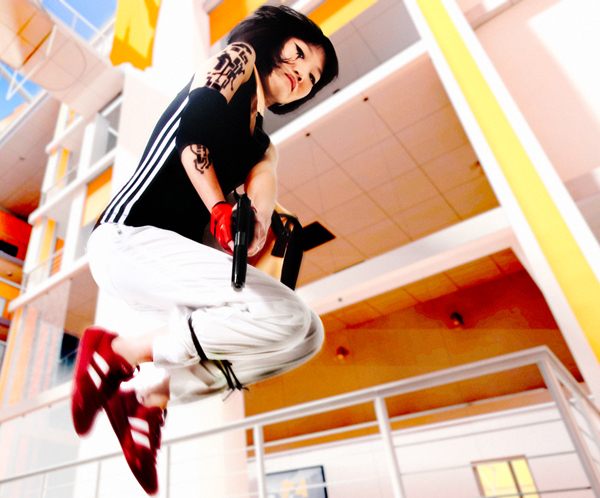 ), though I’d count Faith Connors from Mirror’s Edge a success…in large part due to my husband’s steady hand in replicating the tattoos! So imagine my delight when an opportunity arrived to organise a Halloween charity event at work. 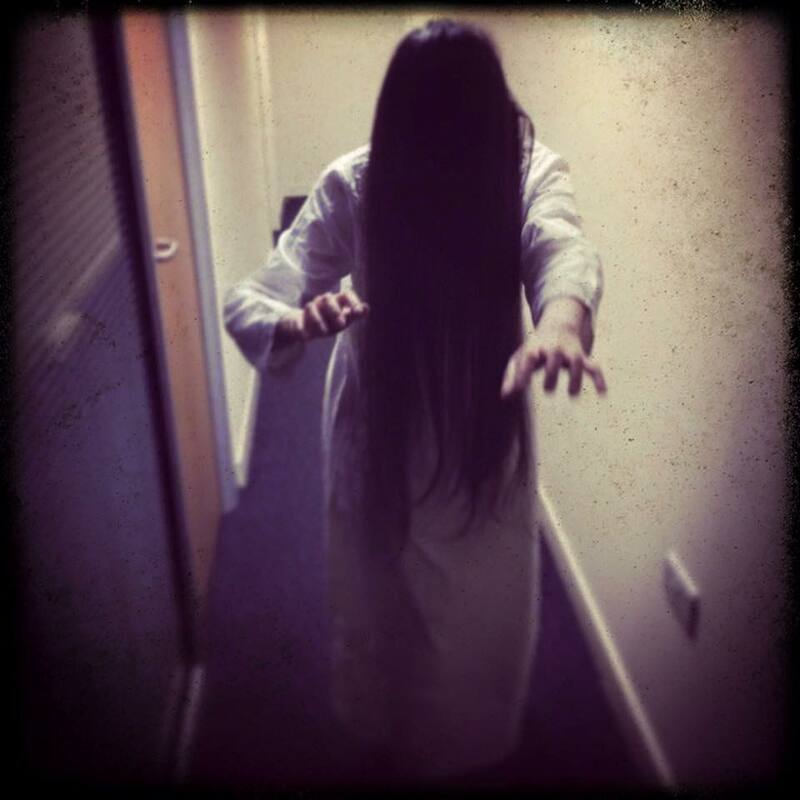 For a small donation, a member of staff could materialise on the day as any spooky character of their choice, with cakes or other yummy goodness a bonus. 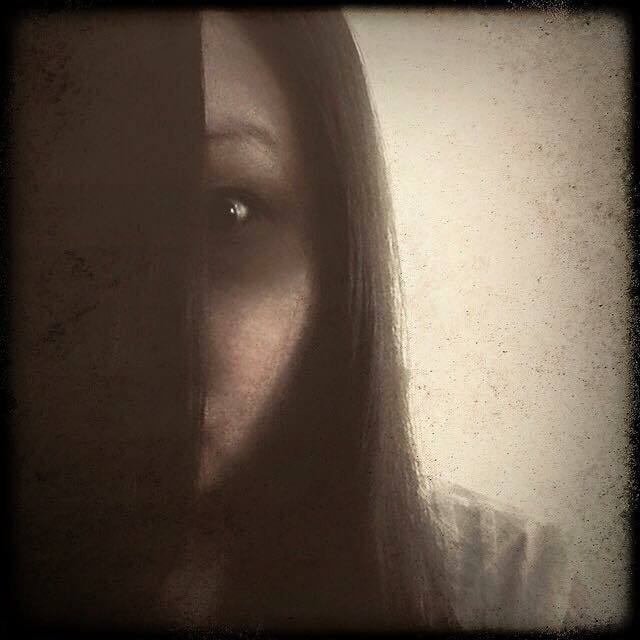 I did consider turning up as Gogo Yubari, but due to time constraints, decided that Sadako Yamamura from Ringu would be more realistic since less prop-making would be involved. Plus, I have the hair for it! So one long victorian nightdress and a huge sheet of cardboard later, and the result was freaky enough to unnerve even colleagues taking the photos on this page. All in all, it was a pretty good Halloween…lots of great pics, and we got to stuff our faces. I doubt a lot of work was done that day, but it made a change to be haunted by something other than deadlines! 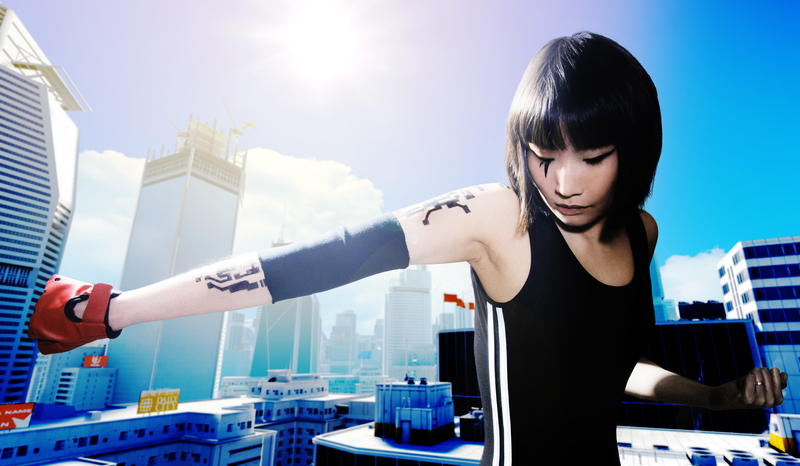 Posted in Craft, Lifestyle and tagged cosplay, costume, dressing up, faith connors, gaming, halloween, handmade, homemade, mirror's edge, ringu, sadako yamamura, tattoos. Bookmark the permalink.